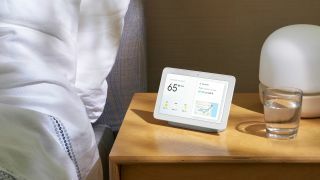 If you've found your chats with your Google Home Hub a little on the stilted side up until now, there's good news: the Continued Conversation feature is now rolling out to smart displays powered by the Google Assistant. Continued Conversation, if you're unaware, lets you carry on a conversation with Google Assistant without having to keep saying "OK Google" or "Hey Google" in front of every request or instruction. The feature has been around on Google Home speakers for a while now, but Android Police reports that it's now live on Google Assistant smart displays too, for chats that feel more natural. For the time being though, you need a device set to US English for the feature to work on smart displays and smart speakers. As yet there's no word on when Continued Conversation might be available for other languages. To enable the feature on a device like the Google Home Hub or the Lenovo Smart Display, head to the Google Home app. Tap the Account tab, then Settings, then open the Assistant tab and choose Continued Conversation. When the Google Assistant is listening for follow-up commands, you'll see a small Assistant icon peeking out of the corner of the screen (on smart speakers, the top LEDs light up to indicate that the device is still listening). Ask about the weather for "today", for instance, and once Google Assistant has answered you can say something like "what about tomorrow?" straight away, with Continued Conversation ensuring the Assistant understands the context. If you've got questions about Continued Conversation, or want to find out more about how it works, check out the official Google support page here.